Hanoi (VNA) – The World Bank (WB) is committed to supporting Vietnam in completing its goals set in the national strategy on medical development from 2016-2020. WB Country Director in Vietnam Victoria Kwakwa made the statement at a meeting between the Health Ministry and international health partners, which was held on March 17. 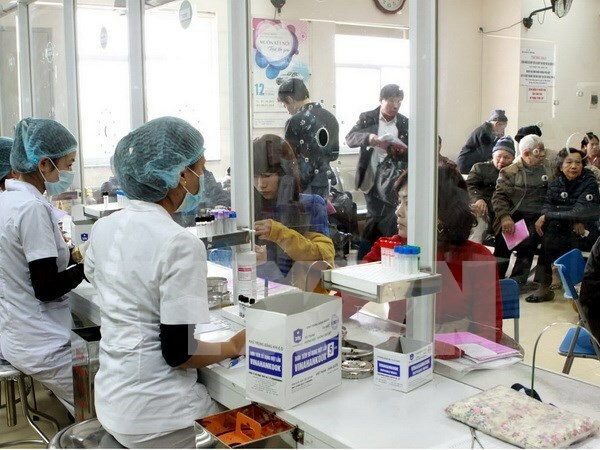 Vietnam ought to ensure local access to high-quality medical services and improve health staff’s competence, she said. At the meeting, Health Minister Nguyen Thi Kim Tien noted her agency will continue prioritising measures to ease the issue of hospital overloads moving forward. The improvement of human resources, finances, infrastructure and disease precautions are also on the ministry’s agenda, she added, underscoring the importance of overhauling relevant customer services. According to the Health Ministry, throughout the 2011-2015 period, the numbers of beds and doctors per 10,000 people increased from 21.5 to 24, and from 7.2 to 8, respectively. Meanwhile, in some major hospitals, the percentage of shared beds was reduced from 70 percent to 7 percent. The period saw expenditure on the health sector accounting for 7.52 percent of total public spending. The amended law on health insurance was issued on January 1, with the rate of insurance coverage rising from 60.9 percent in 2010 to 75.3 percent in 2015.